DESIGNED FOR IPHONE X / 10 !!! NEW - CENTRAL EARPHONE HOLE - Perfectly positioned iPhone X earphone hole for music on the go. 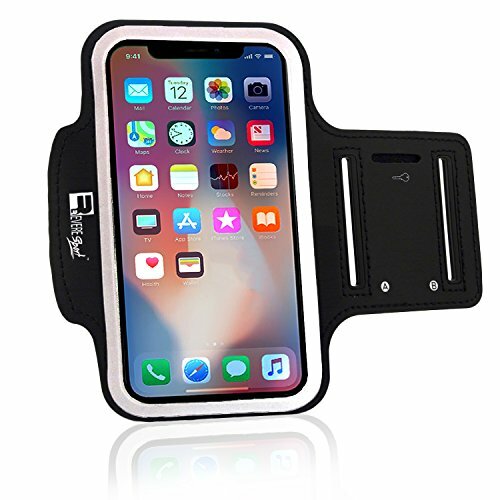 SWEAT & WATER RESISTANT - The No1 complaint with other Armbands is that sweat can damage your phone. NO MORE!! Our New ADVANCED Neoprene material will stop sweat from getting to your phone. Also the neoprene is super Grippe and it will NOT fall down your arm during exercise. Don't risk your Smartphone? Treat yourself to the very best TODAY!! LIFETIME WARRANTY - Here are RevereSport we care about our customers and we only provide the finest quality sports armbands. Feel secure when you purchase knowing you are covered by our 30-Day money back Guarantee and our LIFETIME replacement Guarantee. If you have any questions about this product by Revere Sport, contact us by completing and submitting the form below. If you are looking for a specif part number, please include it with your message.